Looking for something fun to do this sunny Saturday in Berlin? 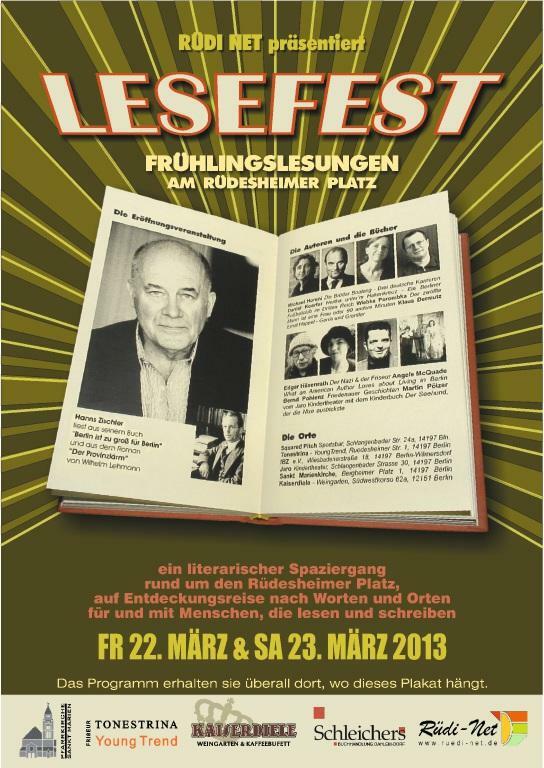 Check out the Rüdi-Net LESEFEST in the Rüdesheimer Platz neighborhood in Wilmersdorf! You can find the entire program with a list of authors and presentation topics here. I’ll be giving my talk — What an American Author Loves about Living in Berlin — at 4, 5, 6 and 7 pm in the IBZ Clubraum. A local bookseller will have books from many of the participating authors available in the Clubraum between my presentation times, and I hear there will be cake and coffee, too! The 60th thing I love about living in Berlin…plus a bonus 61st! 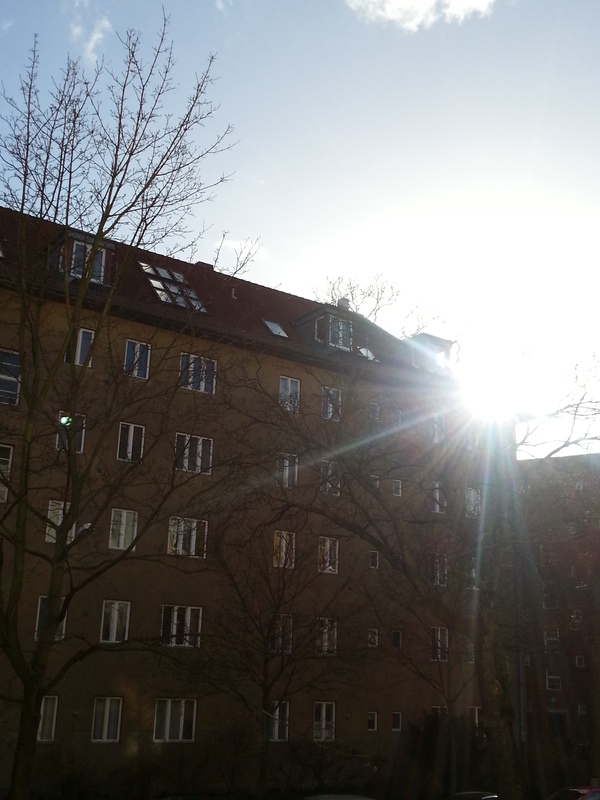 Apparently this has been the most sunlight-deficient winter in Germany in decades, and we’ve definitely noticed. The last few months, it hasn’t been uncommon to go weeks (yes, that’s weeks) with only a few hours of sunlight total. We’re great fans of winter, though, and we’ve lived in some pretty overcast places before (Ithaca, anyone?) so of course we knew to expect nowhere near as many of those blindingly blueblueblue winter skies we’d gotten spoiled by the past five years in Florida. Still, while gray may be one of my favorite colors, there’s a lot to be said for even just a bit of some other hue sprinkled into the climatological record. Looks like all that darkness may already be a memory, though, as those weather-trend expert people are predicting an even sunnier spring than usual here in Berlin. With all the glorious gold-tinged light we’ve been basking in the past two days, it feels like Mother Nature’s spreading her arms wide to welcome us to spring with a great big sunshiny hug a few weeks early. And for that, I’ll continue lifting my face to the sky along with millions of my German neighbors, adding in a little whispered Danke every time I do.